Dad drags son on his boogie board, while other kids watch. Shadows and dogs, make this image. One of my favorite places to photograph is the beach, and in my home town, southampton New York. This picture was taken during a mini family session in Southampton, New York, at little plains beach. 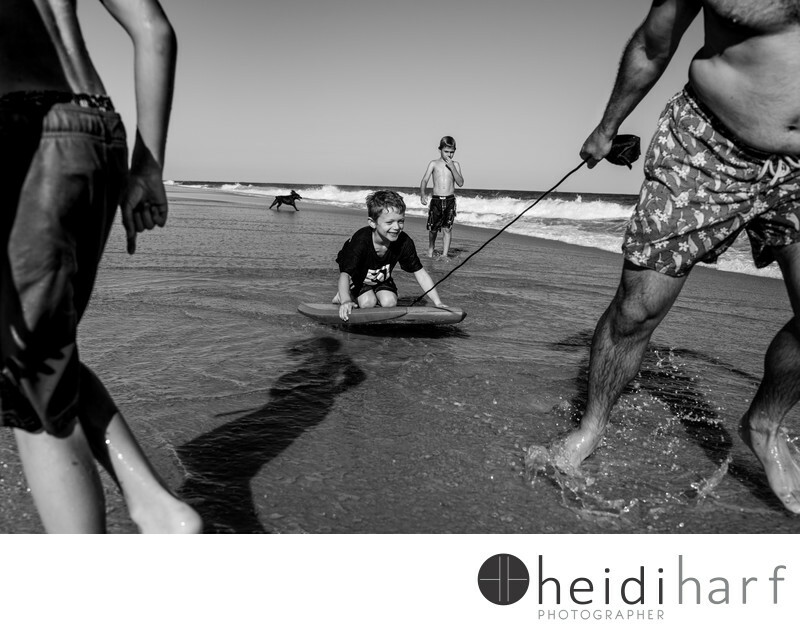 Keywords: Beach (39), beach portraits (48), boogie boards (6), kids (87), summer (24), surf (3).